HOLLYWOOD (Herald de Paris) — Louis Andrew Grammatico was born in Rochester, New York, the son of Nikki (Masetta), a singer, and Bennie Grammatico, a band leader and trumpeter. He attended Gates-Chili High School in Rochester, graduating with the class of 1968. Gramm began his musical career in high school playing in local Rochester bands Gramm then went on to sing, play drums and eventually become front man for the band Black Sheep. Black Sheep was the first American band signed to the Chrysalis. Soon after this initial bit of success, Black Sheep signed with Capitol Records, releasing two albums in succession Black Sheep (1974) and Encouraging Words (1975). They were the opening act for Kiss when an icy accident with their equipment truck on the New York State Thruway suddenly ended the band’s tour on Christmas Eve, 1975. Unable to support its albums with live performances, Black Sheep disbanded. A year earlier, Gramm met his future band mate Mick Jones. Jones was in Rochester performing with the band Spooky Tooth, and Gramm had given Jones a copy of Black Sheep’s first album. It was early in 1976, not long after Black Sheep’s truck accident, when Jones, in search of a lead vocalist for a new band he was assembling, expressed his interest in Gramm and invited him to audition for the job of lead singer. Gramm traveled to New York to audition and got the job. Lou Grammatico then became Lou Gramm, and, with the band initially known as “Trigger,” and later renamed Foreigner, became one of the most successful rock vocalists of the late 1970s and 1980s. 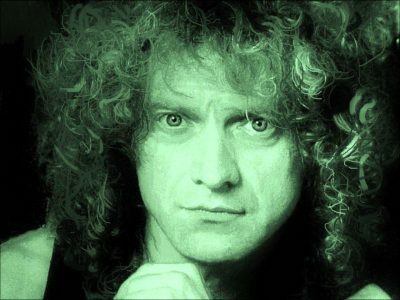 Circus magazine in 1978 upon release of “Hot Blooded” commented that Lou Gramm had a voice that Robert Plant might envy. Foreigner’s first eight singles cracked the Billboard Top 20, making them the first band since The Beatles to achieve this. Gramm performed vocals on all of Foreigner’s hits including “Hot Blooded”, “Feels Like the First Time”, “Cold as Ice”, “Long, Long Way from Home”, “Double Vision”, “Blue Morning, Blue Day”, “Head Games”, “Dirty White Boy”, “Urgent”, “Juke Box Hero”, “Break It Up” and “Say You Will”. He co-wrote most of the songs for the band, which achieved two of its biggest hits with the ballads “Waiting for a Girl Like You”, which spent ten weeks at #2 on the 1981-82 American Hot 100, and “I Want to Know What Love Is”, which was a #1 hit internationally (US & UK) in 1985. Following the band’s second album Double Vision, shifts in personnel began to take place. After the Head Games album release, Gramm and Jones jointly decided to reduce the band’s line up from six to four members. The next album, which Gramm has called the high point of his work with Foreigner, was aptly titled 4. Gramm wanted the band to remain true to its purer rock origins, favoring music with a solid drum and guitar structure, whereas Jones embraced the 1980s style of synthesizer ballads he was known for. The next album, Agent Provocateur took three years to release due to the ongoing creative differences between Jones and Gramm. By 1987, Foreigner continued to struggle with ongoing internal conflicts. Foreigner released the album Unusual Heat, a relatively unsuccessful effort fronted by vocalist Johnny Edwards. Edwards was not widely accepted by the Foreigner fan base. So when he was contacted by Mick Jones, Gramm agreed to return to the band in April 1992 to record three new songs for the compilation, The Very Best of … and Beyond. In 1995, Foreigner released the album Mr. Moonlight on the Rhythm Safari label which, although relatively successful in Europe, was not as widely marketed or distributed in the U.S. Still, “Until the End of Time” made inroads at adult contemporary radio. In 1996, Jones invited Gramm to perform backing vocals on a cover version of “I Want to Know What Love Is” he was producing for the Australian singer Tina Arena. The song went on to become a major hit again throughout Europe. Gradually, Gramm’s health and energy returned. He left Foreigner again in 2003.Then Gramm, with brothers Ben Gramm (drums) and Richard Gramm (bass), and friends Don Mancuso (guitar) and Andy Knoll (keyboards) formed the Lou Gramm Band to play a retrospective of Gramm’s work with Foreigner and his solo material and has been touring the U.S., Canada, and Mexico (as well as performing occasional dates off the continent) steadily since January 2004. 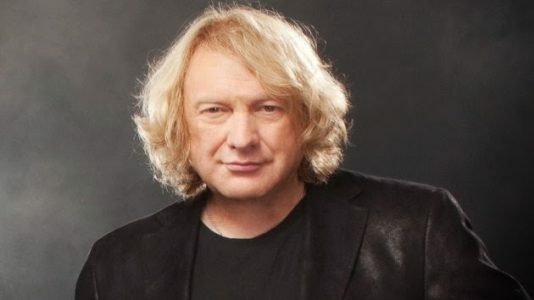 The Lou Gramm Band finished an all-Christian rock album, which was released in the U.S. on June 2, 2009, through Spectra Records. As of 2012, changing the name of his band to “Lou Gramm the Voice of Foreigner”, Gramm continued to perform many of his old Foreigner hits but without two of the original band members: Richard Gramm was replaced by AD Zimmer on bass and Don Mancuso was replaced by Michael Staertow on lead guitar. In 2016 Ben Gramm was replaced by Rob Mount on Drums and former Foreigner touring musician Scott Gilman joined on the tour, playing saxophone and rhythm guitar. This lineup continues to play for Gramm. Along with Jones, Gramm was inducted to the Songwriters Hall of Fame on June 13, 2013. Herald de Paris‘, Dr. Al Carlos Hernandez had a unique conversation with the Rock icon. AC: Growing up in a musical family where you influenced by the big band sound? What did your parents advise you regarding undertaking a life in music? LG: For the first 6 or 7 years of my life, the only music I heard around my house or in my dad’s car, was Big Band music from the “swing” era. My parents said, music was a great hobby. But not the way to earn a living. AC: Who were some of your musical heroes growing up how did those influences inform your work with Foreigner? LG: The first British wave influenced me profoundly. The Beatles wrote songs and played very proficiently on stage. Their personalities and wit had a lot to do with their success. AC: Tell us about your first band Black Sheep, did you play covers? What was it that got you signed as the first American band to Chrysalis? LG: Black Sheep was formed in 1971 with the intent to play all original songs and hopefully garner a recording contract. We were signed to Chrysalis in 1972 and ultimately signed with capital Records in early 1973. We recorded 2 albums in 1973 & 1974 on Capital records. AC: Tell us about opening for Kiss, how old where you? What was that like? Still in touch with those guys? LG: Opening for KISS was a make or break point in my musical time line. Black Sheep had worked very hard to get to that point with KISS in Boston. We rocked the house to the point that we were called back for an encore. However, that was our last show. When the truck carrying, our equipment was destroyed, it began a very fast downward spiral that marked the end of the band. AC: Did they influence you at all? LG: KISS was very impressive with a huge sound and choreography in their movements. The lights, the P.A., the props, all made KISS seem much larger than life. They were also very competent players and put their songs across convincingly. AC: Tell us about meeting Mick Jones? What was he like, what did you see in him that enabled you both to make Rock History? LG: Mick is a consummate songwriter, his guitar ideas and riffs yielded many memorable songs. When Mick and I connected, we could knock it out of the park. AC: Why the name Foreigner? Instead of “Trigger”? LG: When Mick mentioned the name trigger as a possible name for the band, all I could think of was Roy Rogers’ Horse (Trigger). AC: Circus magazine in 1978 upon release of “Hot Blooded” commented that Lou Gramm had a voice that Robert Plant might envy, how did you feel about that? LG: When Circus magazine mentioned that I had a voice that Robert Plant might envy, I wondered why they would even say that when he is such a great vocalist. AC: Where were you and how did it feel the first time you heard “Feels like the First Time” on the Radio? LG: Dennis Elliot (Foreigner’s drummer) and I were driving into Manhattan for rehearsal for our 1st tour, when Scott Muni, WNEW’s afternoon DJ introduced “Feels Like the First Time”. Dennis pulled off the side of the road, we just sat there losin-it. 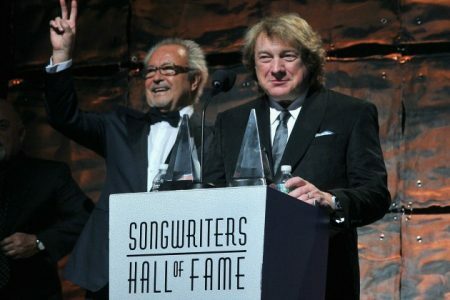 AC: Foreigner’s first eight singles cracked the Billboard Top 20, making them the first band since The Beatles to achieve this, how did this feel? How did instant fame and adulation effect you then? LG: Foreigner’s 1st 8 singles breaking into the top 20 was an amazing feeling. The instant fame and adulation was not exactly instant. Most of the Foreigner’s had been striving for this for many years with other bands. It was a great feeling that it finally did happen for us. AC: How many of the Foreigner Hits did you write, which are some of your favorite compositions? LG: I was involved with the writing in all but 2 of our hits. Some of my favorites are: Double Vision, Blue Morning, Urgent, Juke Box Hero, Waiting for a girl Like you & Head games… to name a few. AC: The best and worst of times of the first incarnation of Foreigner? LG: The best times were the beginning when a hit single was mind blowing & unbelievable to all of us. Some of the worst times happened when we were touring so long & so hard. We barely saw our families at all over a 4 to 6-month period and everyone was homesick and so tired. AC: Why did you leave the band? LG: I was disillusioned with the direction pf the band and my lack of participation in the song writing process. AC: Candidly what were you thinking when the first Foreigner album without you, entitled Unusual Heat, tanked? LG: I thought? What band is this? I don’t recognize anything about them. AC: Why did you agree to go back, were there any conditions? How was the work when you came back on board? LG: I thought the band (MICK & I) had more to do in our careers together and especially to put some equity in our creative relationship. AC: Tell us about your Born Again Christian Experience, was it a reaction to the debauchery of the Rock and Roll lifestyle? LG: It was more about espousing in my faith in JESUS and living a Christian life in my Rock-n-Roll world. AC: Tell us about your Christian recordings? LG: It is something I wanted to do from the time I was Saved. To write a song to JESUS and then sing it to HIM (and hope he approves) was and is A LIFE CHANGER! 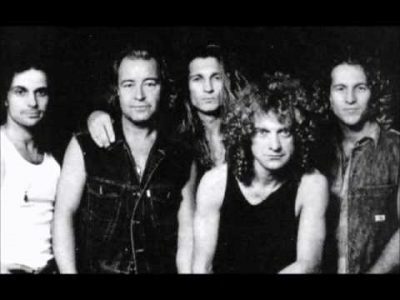 AC: Tell us about Lou “Lou Gramm the Voice of Foreigner” band? LG: I have a tour & recording band that I’ve put together over several years. They’re excellent players, great on stage and great guys when we travel. It makes touring a lot easier when you have a band & crew that know the priorities. AC: Still like to Tour? What are some places you haven’t performed that you would like to? LG: I don’t like long tours, we go out on weekends – then we go home. Keeps me healthy and my marriage too! AC: Along with Jones, Gramm was inducted to the Songwriters Hall of Fame on June 13, 2013. Comments? LG: It was a wonderful night and the honor of the induction was great for Mick & I for years of accomplishment & hard work. AC: There is some talk that you may be touring with Foreigner again on a regular basis, is this true? AC: What are some of the things you would still like to accomplish after such a stellar career? LG: I would like to write songs for other up and coming rock artists.